Recently I have been working on a customer chatbot project. 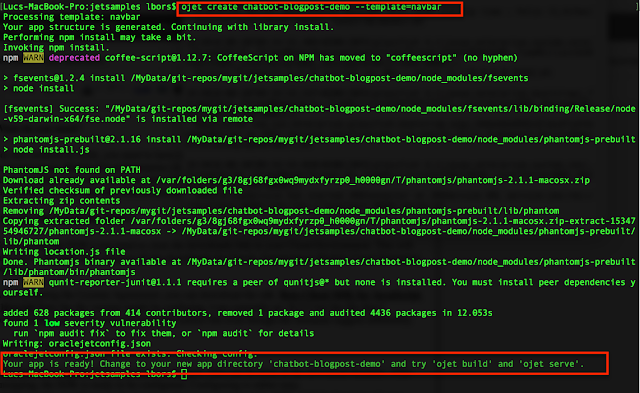 Although it was not a direct requirement, I decided to look into embedding the chatbot in a web application too. You will never know what the future brings. It struck me that is I could not find any blogposts related to this topic. The only thing is a youtube video by Oracle PM (see resources below) describing how to do this. 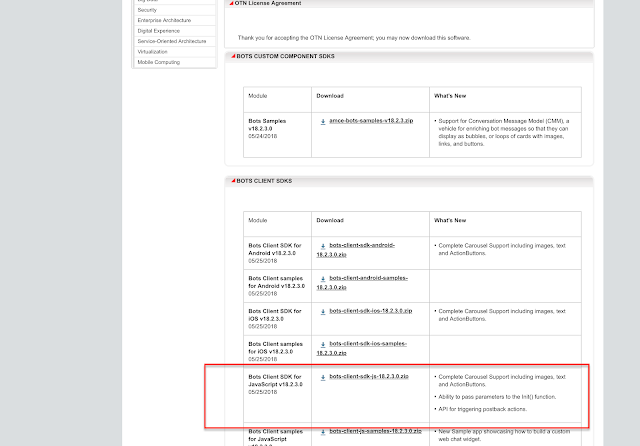 Oracle Documentation is clear enough. It is very simple so why bother blogging. 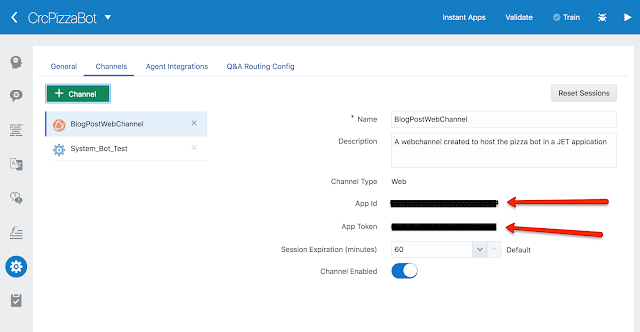 For this solution to work, you need to have an instance to Oracle Mobile Cloud Enterprise (OMCe), or Autonomous Mobile Cloud Enterprise (AMCe) in order to use the chatbot functionality. I have access to AMCe and can use the sample CrCPizzaBot. This bot is an example that ships with AMCe (and OMCe ?) 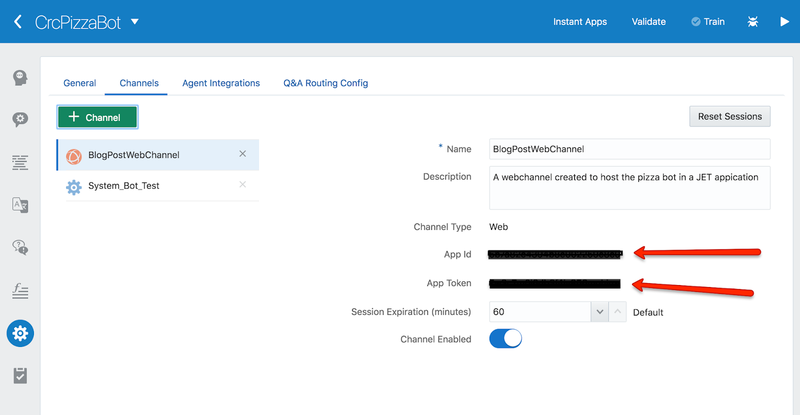 Note that the solution described below works with any Oracle Cloud Chatbot. To download the SDK's you need to click the downloads link in your Cloud Environment. 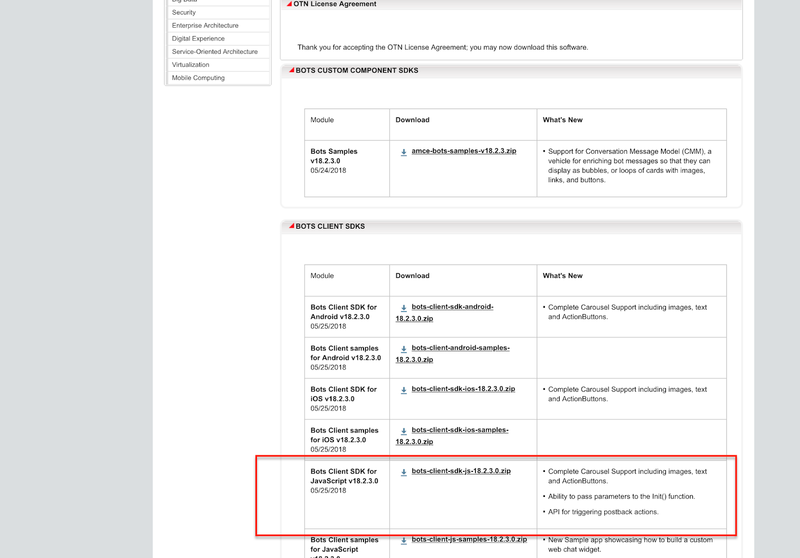 This will take you to the page that contains all the downloads for Oracle Autonomous Mobile Cloud Enterprise (AMCe). Note that the SDK (after being unzipped) has a readme file with all of the steps in this blogpost. So you might want to read up on that one too. After downloading the SDK, you need to unzip it. This can be done at the download location. After unzipping, the SDK is ready to be configured. Configuring is rather easy. Simply invoke ./configure in the location where you unzipped the SDK. Add the location of your webserver where you will be hosting the static content. In my case I use a local glassfish server running port 8080. It will create a simple JET application called chatbot-blogpost-demo. Finally you need to initialise the bot by adding the Bots.init towards the end of the body of your page. In this piece the app-id needs to be changed with the app-id of the chatbot's web channel. This is what we will create in the next step. In order to use the bot in your JET application, the Bot needs to be exposed over a web channel. Such a web channel can be created in Mobile Cloud. Give the channel an appropriate name and make sure to select WEB from the dropdown. I will run the JET application (and the chatbot SDK code) as static content on my glassfish server which I happen to have ready on my development machine. I simply put all stuff (the configured SDK files, and the web folder of my JET application) in the docroot of my glassfish server. It suits the purpose of this blogpost. NOTE: You can also choose to run all as a node application and deploy it somewhere to the cloud. 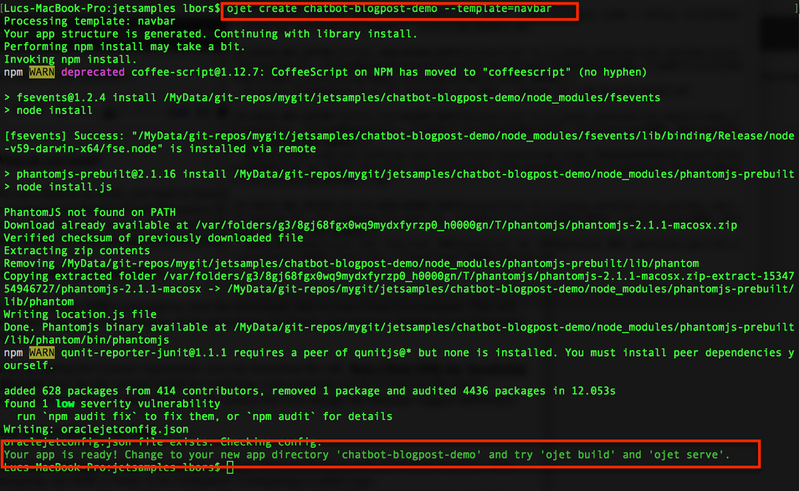 So after 'deploying' my docroot contains a folder 'chatbot-blogpost-demo'. In that folder I have the web folder of my JET application, and a folder called 'static' where I copied all files that were prepared in step 2 (so just the files, not the folder). Now when you navigate in a browser to the URL that hosts your application, you will see a tiny chatbot icon in the lower right corner of the page. When you invoke that icon, you can use the bot. 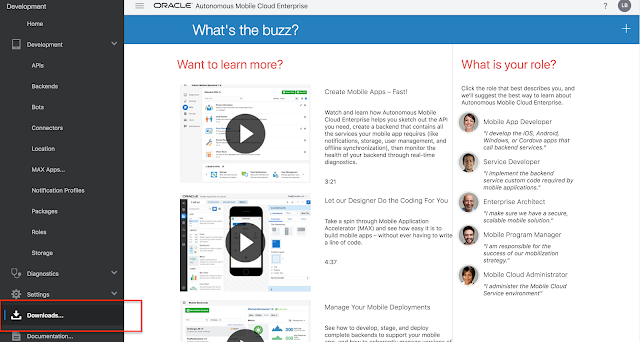 Oracle Mobile Youtube Channel: Adding bots to a web channel.